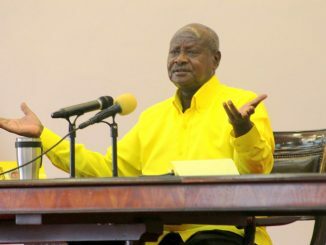 Uganda has lost trillions in Corruption scandals that could have pushed it to middle-income status. Courtesy Photo. In a report by Transparency International Corruption Perception Index released in January, Uganda ranked 151 out of 176 countries in the Corruption Perception Index 2016. This means, Uganda ranked number 25 as the most corrupt country in the world, only beaten by Somalia, South Sudan and a few others. This year’s theme, ‘United against Corruption for Development, Peace and Security’ clearly points out that corruption is a big hindrance to economic, social and any kind of development there is. Corruption affects education, health, justice, democracy and prosperity. Without any of these, development can only be read about in news and books. 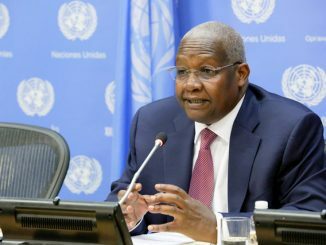 Uganda and most of the African countries continue to extinguish in corruption because they have failed to realize the damage it does to impede prosperity. According to UN, every year $1 trillion is paid in bribes while an estimated $2.6 trillion is stolen annually through corruption. This is more than 5 percent of the global GDP which is about $80 trillion. This clearly means that Uganda is not an island, corruption is a global sickness, affecting all countries, rich and poor, but the difference is, its severity lives behind marks in the latter. Over 68 percent of the countries in the world battle corruption but most of these are developing countries, of course. In developing countries, the money lost to corruption is 10 times more than the Official Development Assistance (ODA). This has been a big barrier to international aid as many of these countries have had to lose out on foreign donations. Donors fear that monies would be swindled and embezzled, not to serve the rightful purpose. The global funds scandal stands out in this case, where money meant to help HIV victims was mercilessly embezzled by top government officials. These not only shocked the world, but also left tears in the eyes of the many who lost their loved ones simply because this aid never reached them. The biggest remedy to corruption is intolerance, and fighting it back with stringent laws. Uganda has often been praised for having the best laws and policies in the world, but never delivers when it comes to implementation. The same is the case with corruption. The country boasts of a rich legal framework which has often been terribly implemented or not implemented at all. The laws against corruption started way back in the 70s with the enactment of the Prevention of Corruption Act 1970. Then there was the Inspectorate of Government Act 1988, The Anti-Corruption Act 2009, Leadership Code Act 2002, and Public Finance Management Act 2015. All these provide clear cut punishments to bribery and corruption but until a few years ago, we hadn’t seen any big names being convicted, despite their overt corruption. 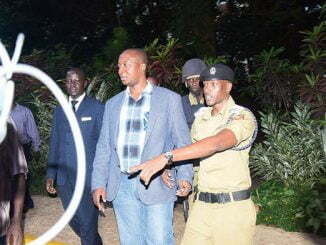 A few of them however were not as lucky and they had to taste the whip of the law, Geoffrey Kazinda, and the ongoing Byandala case being best examples. However, considering the countless number of officials still engaged in corruption out there, this is only a drop in the ocean. The Code of Conduct and Ethics for Uganda Public Services defines bribery as any gratification with a value equal to or more than UGX 20,000 given to public officials by anyone with the intention to influence any current or future decisions. It further says that if one is given such they should declare it to the Inspectorate of government for it to cease being a bribe. But this has never been the case, officials bag millions of money without mentioning a word of it to anyone, lest they risk their superiors asking for their own share of the gift. The definition however, seems to say that the Shs10, 000 a friend d of mine gave the traffic officer the other wasn’t a bribe since it was less than 20,000. I think a bribe can be even as small as a 500 coin provided I am giving it with intent to influence decision. Corruption in Uganda remains largely rooted in the judiciary, police and public offices. It has become a norm that justice can only be administered through corruption and the moment a traffic policeman stops you, your mind runs to how much you have in your pocket and how much should you prepare for him. This is how degenerated! Here, the court that finds you guilty of a corruption crime is the same court that sets you free by the same corrupt system. This is how bad it is! Massive corruptions also happen in Tax administration and customs, public procurement and this has greatly undermined investments in Uganda. One out of five companies indicates that they give a gift in order to secure a government contract (ES 2013). Corruption has become the status quo and this only means big strides backward in fighting it. Corruption in public services has largely been fueled by the bureaucratic hurdles there are and this in the end has made the vice become a major factor of citizens’ interactions with government officials. Pharmaceutical has become a big business in Uganda and most of it is boosted by corruption and the continued stealing of drugs in public hospitals. According to WHO, over 25 percent of medicines are lost to fraud and bribery. 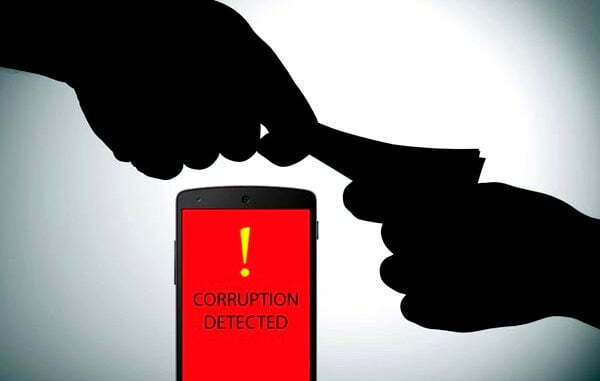 Corruption also remains a big threat to climate change since through corruption and bribery; forests and wetlands have continuously been illegally given away to private individuals to turn them into money mines, at the cost of the environment. With the Whistleblowing Campaign in place, we as a country can only do much. Companies and government should take Zero tolerance towards corruption. New policies should be put in place and the available good ones should be adequately implemented. Civil Society and citizens should step up and vigorously demand for accountability and with this we could perhaps have a Uganda that is a little further away for the endemic!